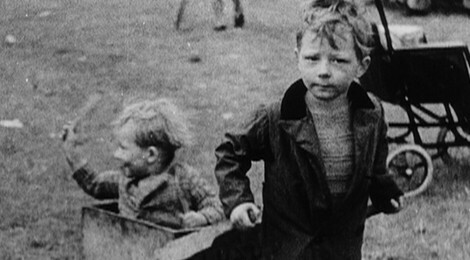 A whole raft of personalities from Tony Benn to Ed Miliband to Jeremy Corbyn to Ken Loach with his film The Spirit of ’45 have praised the Labour Government of 1945. Of course along with the voting in of that government came the nationalisation of the railways, the mines, Bank of England, electricity and gas, and British Airways as well as the establishment of the National Health Service. Labour swept to power in 1945 with a majority of 145. After five years of war, many did not want to put up with a class ridden society which meant poverty and shortages for many. But the nationalisation that was carried out, bringing roughly 20% of the economy under State control (the Post Office had always been in State ownership, as had the National Grid), was something that was seen by sections of the ruling class as being essential for reconstruction after the war. In fact in France, the government of General De Gaulle (hardly a socialist in any sense of the word) had nationalised far more of the economy, including most banks and insurance companies, the Renault car company, gas and electricity, mines, Air France. In terms of the big programme of social insurance brought in by Labour in 1945, we need to look back at the Beveridge Report drafted by the liberal economist William Beveridge in 1942. This report had pioneered the idea of a vast national insurance system, the “cradle to the grave” welfare state. In fact Churchill, as leader of the Conservatives, was quite prepared to implement this if he had not been defeated in 1945. When it came to healthcare, all three main parties – Conservatives, Labour and Liberals – all had pledged to introduce a National Health Service in their manifestos! The reforms brought in in 1945 were geared to firstly helping Britain reconstruct after the War and secondly head off any revolutionary movement by offering a package of reforms. The ruling class was fearful of another round of revolutions after World War Two after it had witnessed a similar scenario after World War One. By 1948 an austerity package and wage freeze was introduced because of the economic crisis that had started the previous year. Sport was banned during the week because Labour believed that it encouraged absenteeism. Unemployment shot up from 400,000 to 1.5 million. In 1951 Labour re-introduced charges for false teeth and glasses which up till then had been free under the NHS. Within 6 days of coming to power Labour sent troops into the Surrey Docks in London to break a strike. Three months later Labour again sent troops in to break a national docks strike. They did this again in 1948. In 1950 Labour used the Navy to break a gas workers strike and had some strikers arrested and charged. Labour also used the courts against striking miners in 1947. In fact throughout its term of office Labour repeatedly acted against workers with the key target of keeping wages down. In foreign policy Labour strove to preserve the British Empire and indeed that of other Empires, helping the Dutch in Indonesia for example. They intervened militarily in Egypt in 1951, threatened Iran in 1951 over oil interests (sound familiar?) shot down demonstrators and used napalm in Greece. They went back on their commitment to the end of military conscription, eagerly keeping it in place. Labour re-established relations with the Franco dictatorship in 1951, bombed Indian villages in 1946, and applied vicious repressive measures in Kenya and Malaya. The 1945-51 Labour Government was not a Golden Age. Far from it. The reforms that were passed, and that indeed made working people’s lives a little easier, would have been given just as readily by the Tories or Liberals. They were given because Britain needed to be rebuilt after the War and to head off unrest. To this day however, there are still those who continue to push the idea of a Labour government acting as a pioneering socialist administration.